Distance : 82.6 miles (133 km) approx. The trailheads for this “combination” route are the Greenstone and Rasberry Creek car parks. 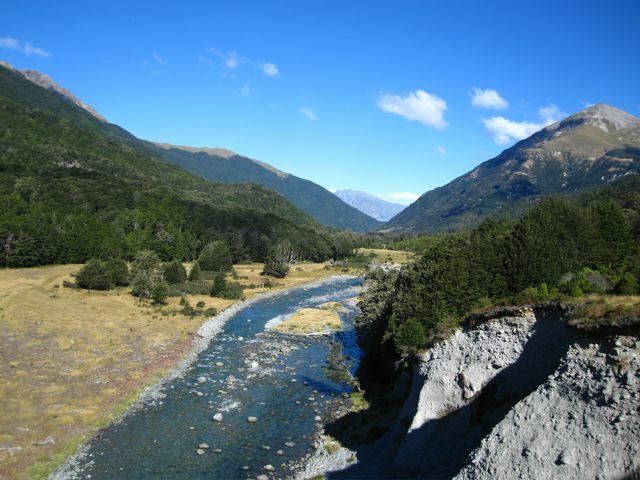 The nearest towns to the trailheads are Queenstown and Wanaka respectively. Click here for transport details to the Greenstone car park. For transport to and from Rasberry Creek, try calling Mt. Aspiring Express (0800 186 754). Season : November to April. Up-to-date information on the various sections of this route can be obtained at the DOC offices in Queenstown and Wanaka. For general information check the DOC website. En-route to the Rock Burn Shelter. 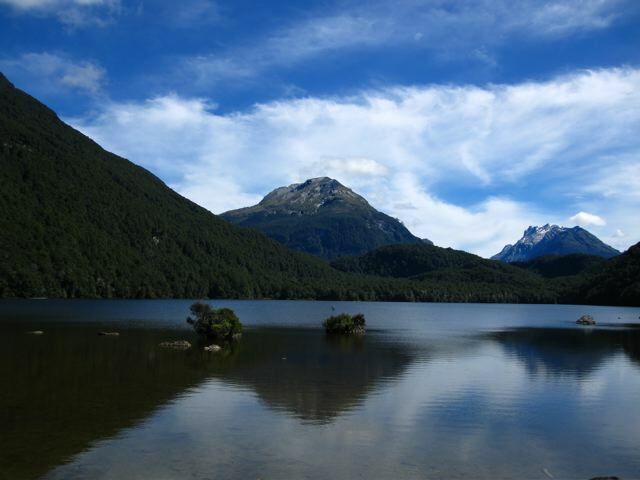 I used the trekking notes and maps contained in Lonely Planet’s Tramping in New Zealand. I found them to be adequate for navigation purposes on this route. For the section between Routeburn shelter and Chinaman’s bluff, which is not covered in the above mentioned guide, I used the following topographic maps: Topo50-CB09 Hollyford and CB10 Glenorchy. As with all maps in the Top50 series, they are widely available in camping stores and DOC offices throughout NZ. Western bank of the Dart River. Piecing these Tracks together is not overly difficult, but does require a certain degree of planning in regards to trailhead transport and accommodation options. 1. The Caples/Routeburn section is straightforward. After the Routeburn Shelter, continue on the dirt road leading east for approximately 5km, until you reach the Lake Sylvan turnoff. 2. Take this road for about 1km, cross the swing-bridge at the northern end of the carpark, then follow the signs/markers north until you reach the somewhat dilapidated, though still serviceable Rock Burn shelter. 3. From the shelter, easily ford the Rock Burn and continue north along the true right side of the Dart River, until you are more or less directly west of Chinaman’s Bluff. 4. This is potentially the most hazardous part of the route. 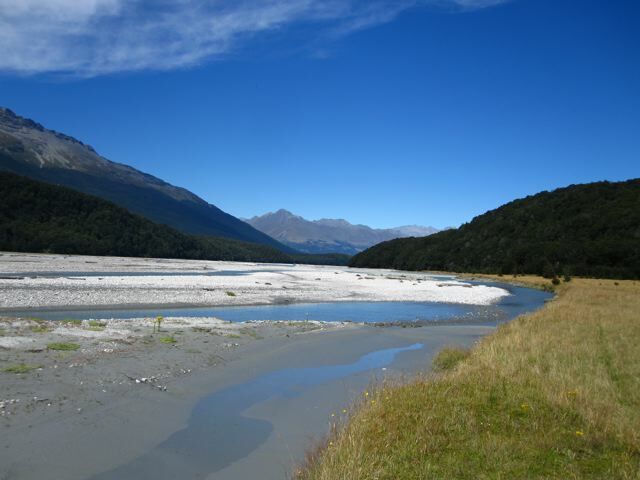 A fording of the Dart River requires care and experience at the best of times. Check on water levels with DOC before setting out, and do not attempt crossing after periods of heavy rain. 5. 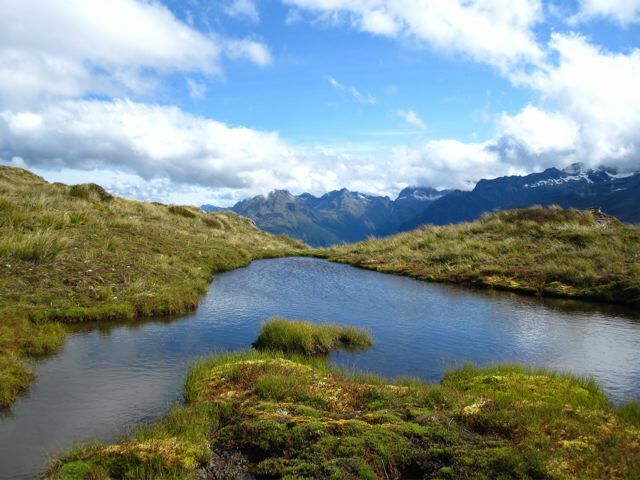 If the crossing is not viable, you will need to head down to Glenorchy (via the road from Routeburn shelter) and from there make your way to Chinaman’s Flat via Paradise. 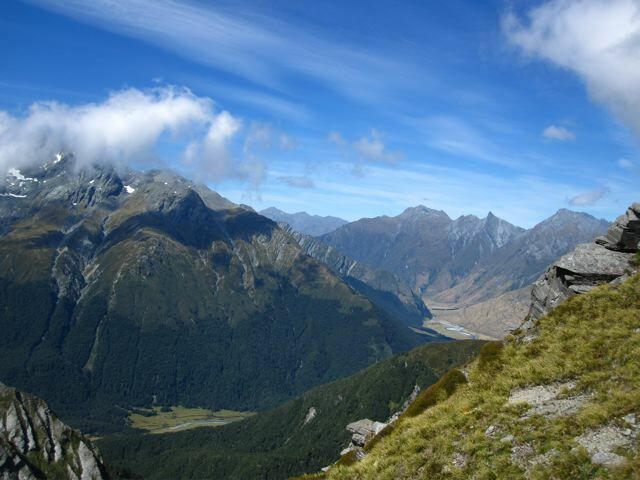 This marks the beginning of the route’s final leg, the Cascade Saddle Track. Huts, tenting and rock bivvies. Huts are available the entire journey, although space on the Routeburn needs to be booked in advance. 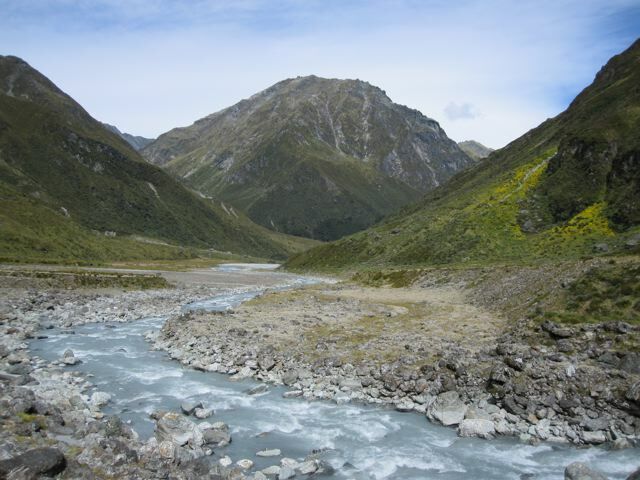 On the Dart River section there are two rock bivy options between Daley’s Flat and Dart Huts. There is also a very good rock bivy just off the Routeburn (see Moir’s Guide North). A fantastic route. 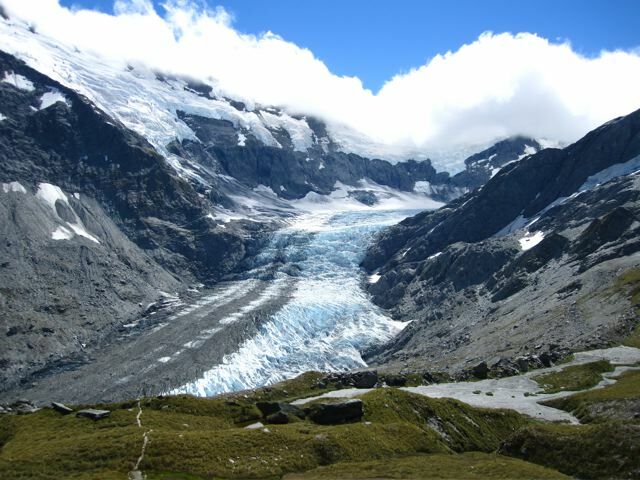 I would recommend starting at the Greenstone car park, thereby leaving the spectacular Cascade Saddle for the final day.